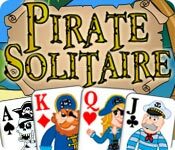 Pirate Solitaire is rated 3.9 out of 5 by 17. Rated 5 out of 5 by SimplyLucy from Good Old Pirate Fun! I'm not much for cartoonish silly games. 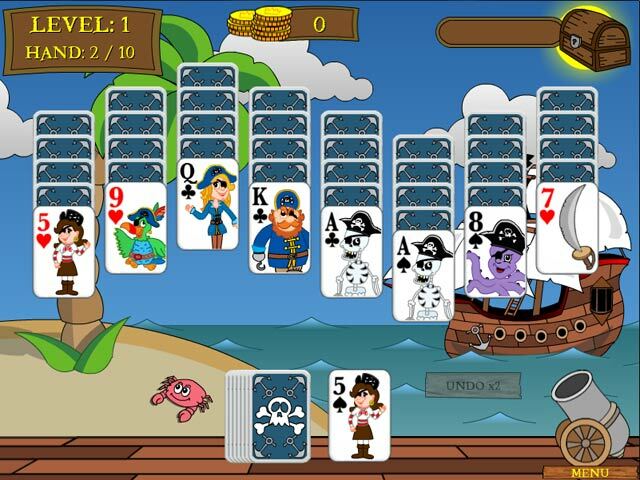 Pirate Solitaire surprised me. It's a quirky, cute, funny little game set to 'Pirate' music. Large in-your-face graphics with colors that really POP out at you. There are 3 mini games that are fun. Just a nice relaxing game of solitaire for all ages, especially for beginners. The only down side to this game, the voice over may become annoying after a time. Rated 5 out of 5 by Snowview from Can't stop playing I'm already on my 2nd time through. I realized I missed some of the great graphics while concentrating on the game. I love the background pictures Also I didn't realize that you get a new undo every level if you have spent you last one. Lots of fun for kids and adults. Rated 5 out of 5 by binxiendinah from A Gem of Solitaire!!! This is one of my favorites along with Avalon, Chronicles of Emerald, Faerie, Legends, and a couple others! Pirates theme is sooo cute. I had such a blast I never wanted to stop playing. Was playing this game all day until I almost fell asleep. LOL! I love the pirate talking in this game too. I highly recommend trying this if you have not. Rated 5 out of 5 by JeanieGenie from Fun, Relaxing, Visually Pleasing, and cool music! I love this game. It was fun for me to play as an adult, had good challenges and was relaxing to play, visually cute and I enjoyed the music and the pirate sounds. HIghly recommend for the adults and the kids in the family. 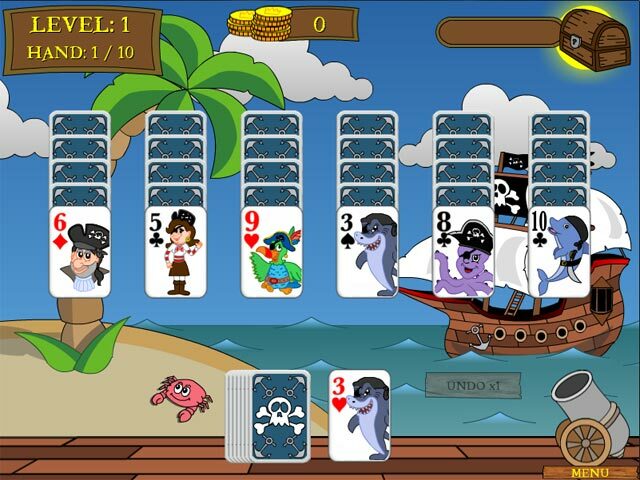 Rated 5 out of 5 by Bonedigger3 from Solitare It's a very Entertaining game for all ages. Rated 5 out of 5 by parkersam from Ship AHOY I bought this game afew years ago and still play it and enjoy it every time. I do. 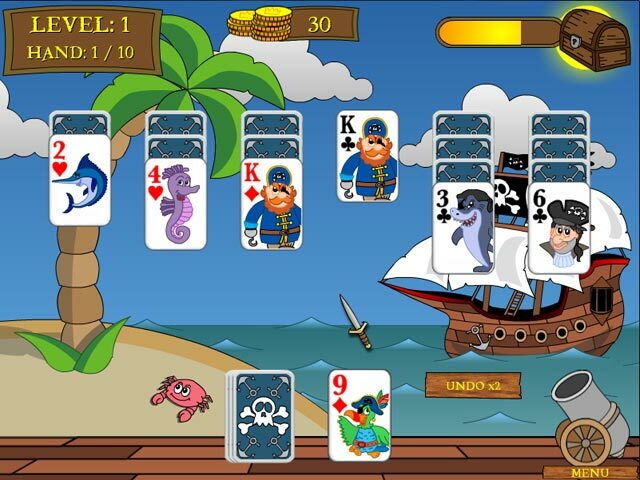 Rated 5 out of 5 by tailswhiskers from Pirate Solitaire This is a fun and relaxing game. It is lime The Legends of Solitaire The Lost Cards. The only difference is that this game is all pirate. I would recommend this game. Rated 5 out of 5 by StacyS02 from Great game with fun graphics! I have recently bought Legends Of Solitaire: The Lost Cards and it is one of the best solitaire games I have ever played. So I decided to try this one too as I love colourful graphics in games. It is a wonderful solitaire game! It took me hours to complete, gave me plenty of challenges along the way and was very entertaining. I loved the music in the game too, it was lovely background music for playing solitaire. I had a lot of fun playing this game, very enjoyable, lovely colourful graphics and great gameplay, what more could you want!